Well – one reason anyway. I use a virtual Machine (VM) with Windows 10 installed for research on a new book I am writing. I started that VM this afternoon to do some testing and took a few screen shots to include in that book. 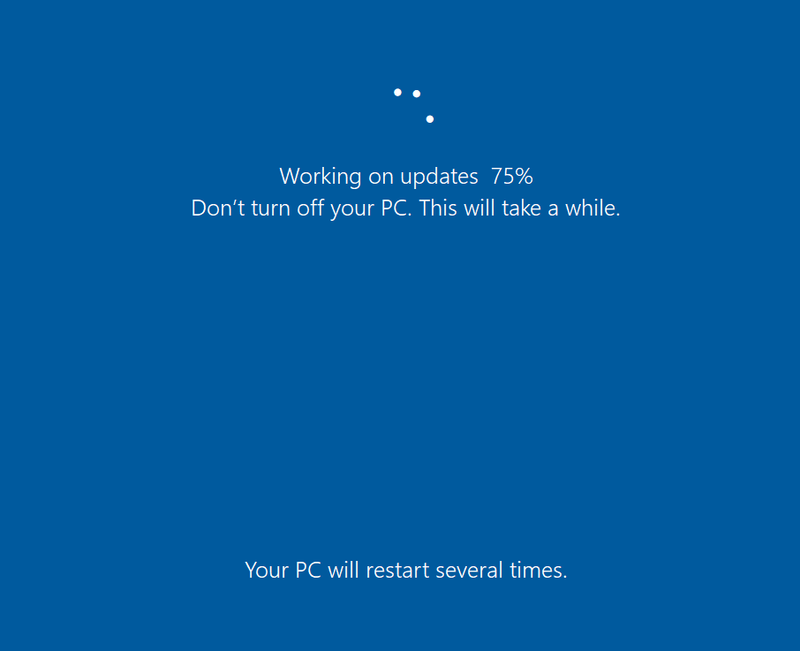 After I finished up with that, I was going to shut down the VM but then this – the Blue Screen of Updates. This has been going on for hours, now, despite the fact that this VM has assigned to it 8 CPUs (4 Cores) of the 32 CPUs (16 cores) and about 24GB of RAM of the 64GB that I have on the physical host. Here is what that looks like in htop. These lines copied from htop show that the Win10 VM has been running for hours and taking over 26GB of RAM. This includes what I assigned plus the VirtualBox overhead. But that is huge in terms of both RAM and CPU time. Updates to a Linux system never, ever take that much system resource or real-world time. Meanwhile, the virtual machine is of no use to me as I cannot do anything on it until the updates and multiple reboots are completed. Not to mention the fact that I had no choice about when this happened. It just started and did not give me an opportunity to opt-out. On Linux I can work while the updates are being installed, and I do not have to reboot until I am ready. Only one reboot is ever needed to install updates and I can choose when I want the updates to be installed and then, separately, when I want to reboot my Linux computer. To make this even more disturbing, after it finally rebooted for the umptieth time — or so I thought — I logged in and it had the audacity to display in the screen, “Hi. We have some updates to install,” or something to that effect. Some of my friends wonder why I don’t use Windows. This is one reason.